I also work privately with individuals, both those who are curious and others who are deeply disturbed by their dreams. I do this work locally and via Skype. I often have a booth at psychic and new-age fairs where I also give lectures and workshops. On this site you will find detailed information about me, about my book Always Dreaming, and about the latest events and classes I am offering. There are also over 200 analyzed dreams that you can read through and ponder if you scroll down through the posts. Feel free to peruse the site, and should you have any questions or wish to contact me, please don't hesitate to reach out to me at david@teacherofdreams.com. As some of you know, my wife and I moved from the Portland, OR metro area to the Oregon coast. I naively thought this would only take a month or two of my time. Here it is, nearly 6 months later(! ), and I am only now starting to turn my attention back to my website. My absence does not mean I have been neglecting dreams. I am currently teaching an online course in dream interpretation, and there are plans for another one to begin this coming winter of 2019. I have also continued to do individual dream interpretation sessions, both locally, via Skype and other conferencing programs. 45 minute YouTube interview, posted the first week of March, 2018. Click on the link immediately below. As I wrote a couple of weeks ago, my wife and I are in the process of moving--out of the city and to a lovely spot by the ocean. It's a wonderful waking dream for us, but it is also tremendously time-consuming. For that reason, I am taking a break from writing about dreams. I'm not sure when I'll be able to put my full attention on this blog again, but I am guesstimating probably in late spring. In the meantime, please feel free to read back into the archives at the more than 100 dreams I have already posted. There is plenty of food for thought in any one of them. When we analyzed the dream symbols and retold the dream in its new metaphoric version, one image repeatedly came to the fore. 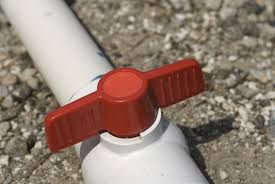 There was the description of a plastic pipe which was carrying a substance that it was not designed for, and which could be dangerous. One of the tenets of dream interpretation is that every image in the dream represents a facet of the dreamer. So when we thought about a “pipe” carrying the wrong substance inside the dreamer, there was some concern. My own experience with dreams is that they are mostly commentaries about attitudes and approaches to life that need adjustment (or conversely, the dream is congratulating the dreamer for doing something correctly). I told this dreamer that he and I would work on his dream from that perspective. However, I also insisted that he get a thorough physical checkup, just in case this dream was expressing something about his physical body. Or perhaps his physical body was, itself, acting as a waking dream, offering its own dream symbols in the form of health issues that needed addressing. The dreamer agreed, and that left us free to explore the dream from still another level. The dream spoke of observing activity in the place inside the dreamer where he would “eat my meals, relax, think, have my own space.” And within this space, there was something wrong. There was a “volatile” substance that was being transported through a “pipe” that was not designed for that purpose. I asked the dreamer what he thought that might be about. Did he have a volatile substance that was out of place inside of him? He needed no further prompting. Ho boy! Do I ever! I have anger management issues. I won’t tell you the whole nasty story, but the short version is that I had an old man who slapped me around a fair amount. By the time I was a teenager and a young adult, I’d been in trouble a few times with the law—nothing really serious, but getting arrested was a heads-up, and it sobered me up some. I spent a couple of nights in jail and was looking around at all the losers in there. I made up my mind right then that I didn’t want to be like them. So ever since, I’ve been working on myself. It’s been really hard. I’ve had little moments of improvement, and then I’ve had even bigger times of relapse. Still, over the years I can see that I’ve gotten better. Maybe it’s just that I’m getting older and don’t have as much energy to be pissed off any more. [He laughs.] Naw. I think it’s better than that. So yeah. I have this dream letting me know that, even if I’m behaving myself, I still carry this “volatile” stuff around inside me. Well, I guess there’s still more for me to do. So I’ll just keep pluggin’ away. We’re looking at a dream that a contractor had. It was about a dangerous situation he discovered in the basement of a house where he found a plastic pipe leaking natural gas. He was alarmed in the dream, and then he continued to be alarmed after he woke up. He was concerned that the dream might be prophetic. I made the unusual suggestion to him that, if he dealt with the dream symbols now, there was no reason for the dream to repeat itself and “come true” in “real life.” If he understood its message the first time, he would thwart any possibility of it becoming prophetic. Although this was a brand new concept to him, he wanted to work on his dream, so we went right to it. We isolated the important symbols, and I asked him to comment on each one. I offered the non-directive prompt, “Tell me about it.” So, for example, in his dream, he talked about being in the structural part of a house. I said, “Tell me about the structural part of a house.” He replied, “It’s the skeleton, what holds it together.” In this way we put our attention on each of the symbols in his dream. * House: It’s where you live life, where you eat your meals, relax, think, have your own space. * Structural part of a house: It’s the skeleton, what holds it together. * Two-by-fours and other framing: Those are the individual “bones” of the skeleton. 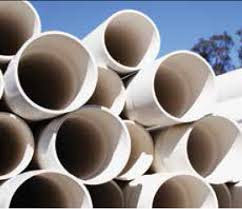 * One inch PVC pipe: It’s a plastic pipe designed to carry non-volatile liquids. * Non-volatile liquids: Fluids that aren’t dangerous or explosive. * White and typical: Seemed totally normal. * Red shut-off valve: Also typical. It’s there to stop the flow if you need it stopped for repairs or just because you want no liquid going through it. * Off position: That would stop the liquid completely. * Hissing: Well, with a snake, that’s a warning signal. In this case, it was a clue that something wasn’t right. * Not carrying water: The pipe wasn’t being used for its normal purpose. * Natural gas: That’s not a liquid, and it’s extremely volatile. When it’s used properly, it’s really helpful. But if there’s something wrong—like here—it can kill you. * Gas slowly leaking: That’s alarming. That can be deadly. * Check the valve: I wanted to see if there was a simple correction, but there wasn’t. * Gas still getting out: It seemed like a systemic and highly dangerous problem. * Gas line made of plastic: That’s illegal, and for really good reasons. It’s asking for trouble. * Should be metal: Metal can’t melt as easily or be punctured. It’s safer and stronger. * Plastic would melt: It would deteriorate under extreme conditions and potentially blow the place to bits. If you read his replies above, it is clear that the dream is some sort of a warning. Throughout the dream, there are images of something being dangerous and not being right. But what is the danger? Is it something external, or is it something inside the dreamer himself? Is the dream going to “come true” in “real life,” or does the problem necessitate and internal fix? Those are questions we’ll continue to explore.